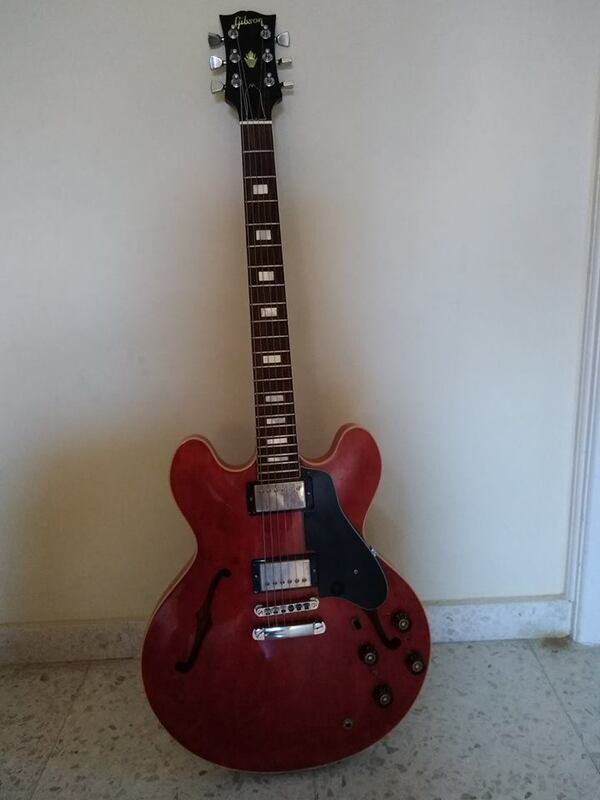 ES-335 - real or a fake ? I stumbled upon this add locally and after emailing the guy i got a very good price but now it's time to start suspecting if it real or not. 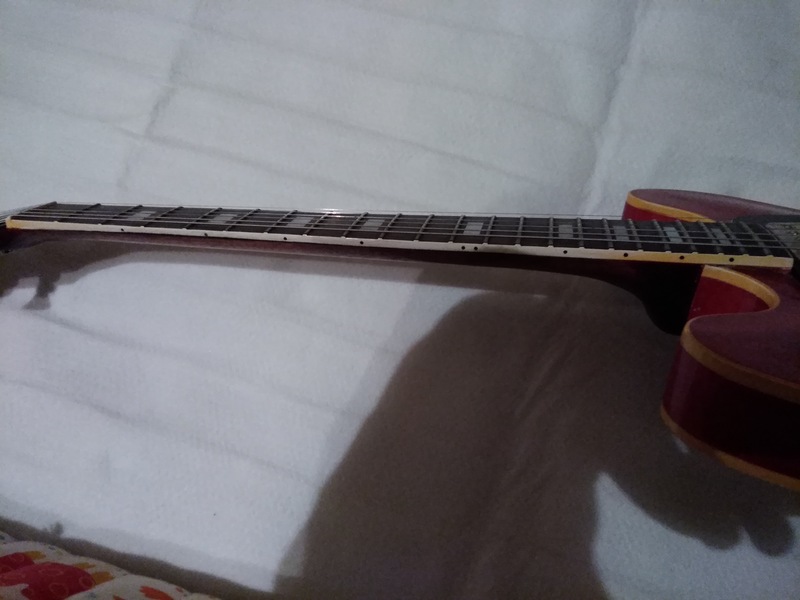 The first and last Gibson i ever had was a 2014 SG Standard so i don't know much about them. 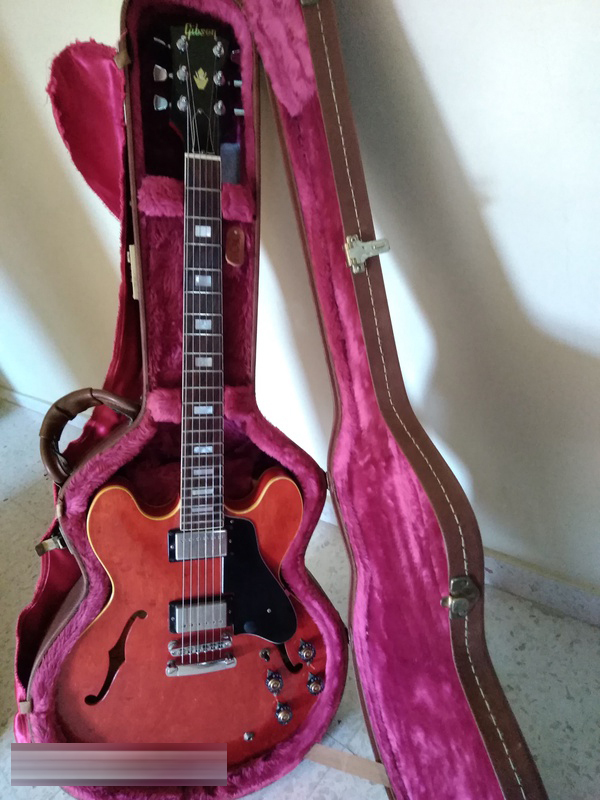 This ES-335 is claimed to be a 1974 that a mate of the seller had brought for him from the US, 19 years ago. There are a few things that i am trying to figure out that don't seem kinda right. 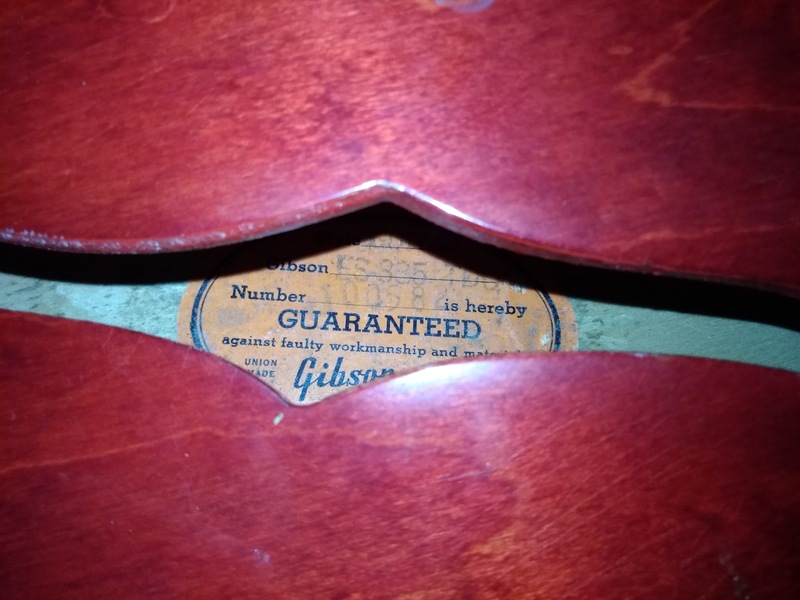 The Gibson logo, open B and O, and the dot over the I supposedly till 1969. 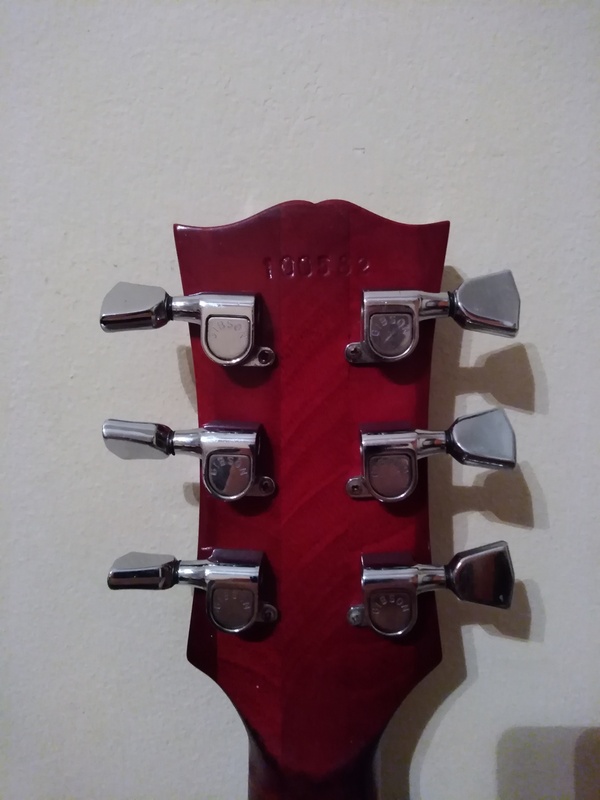 The volute as it seems to have a volute was during 1970 and on but no made in USA under the serial number. The position of the crown logo, and the shape of the logo looks strange and not too symmetrical. The orange label has "union made" which was used from 64 through 69. 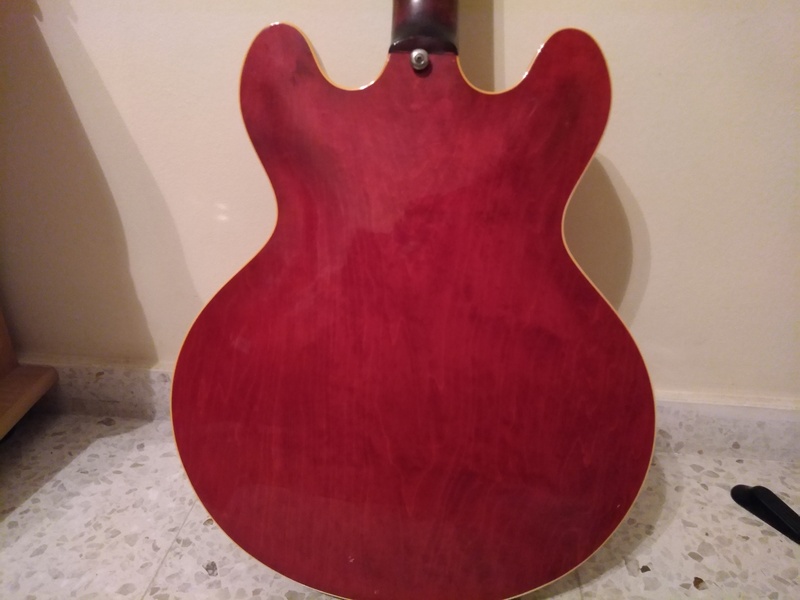 I hope someone can comment whether this is a real Gibson or not and what possible year it could have been manufactured. I know i'll have to remove the pickups and pots but will not drive 400 km to go see a fake. Looking forward to your help guys. Looks real to me. 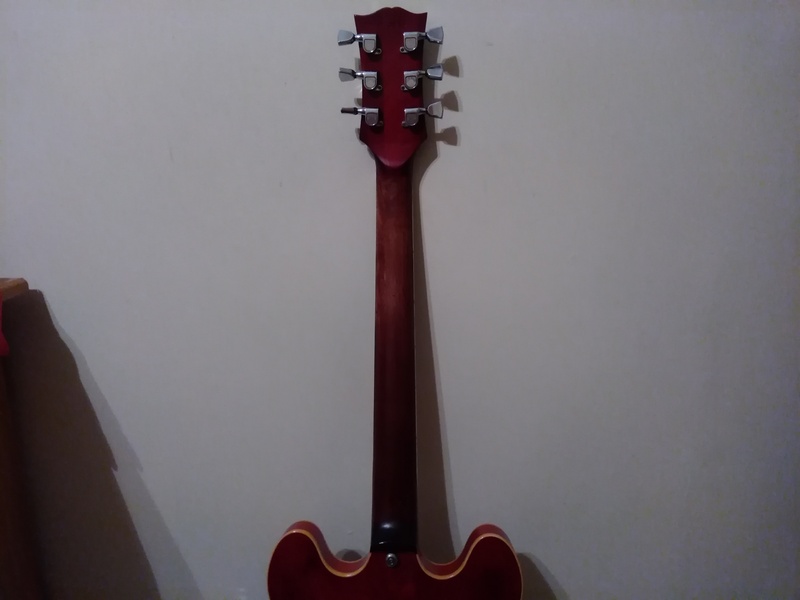 The serial number puts it in the early 70s but that's a gray area at best, as far as getting it closer. I wouldn't get too hung up on the inside label. Someone probably found some in a drawer somewhere and was told to use them. 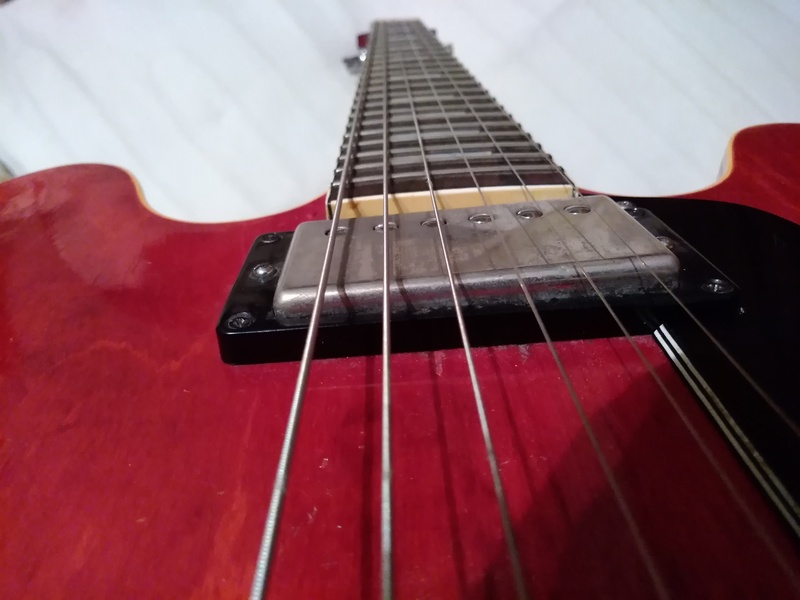 I'm not well versed enough in 335s to know this (or not) but I'm not sure the stop tailpiece was used during that time. It may have been but seems like most of the ones I've seen had trapeze or had been converted. The knobs have been changed and it wouldn't have had that case. 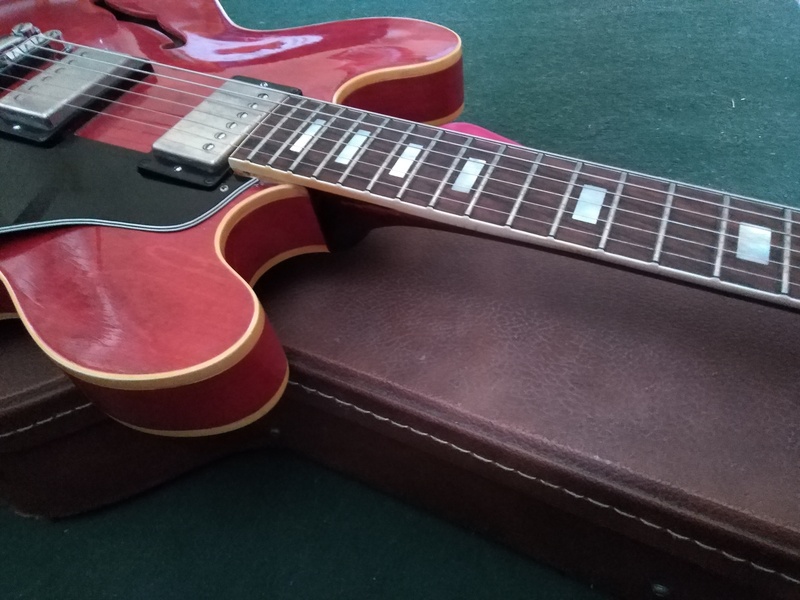 Someone going through the trouble of cloning a 335 with a three piece neck, volute, large pick guard, clone the Gibson tuners, AND make it with nibs? It looks real to me. 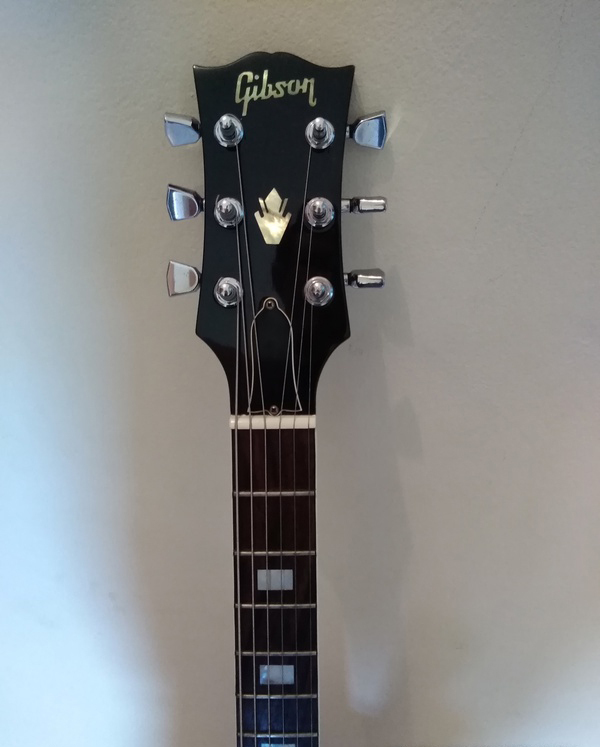 It might be worth e-mailing Gibson support with the serial number if you have any doubts, they are usually very helpful. It looks good to me but there are more knowledgeable people who visit the forum, it could be worth re-posting your question in the Gibson Lounge where more people will see it.